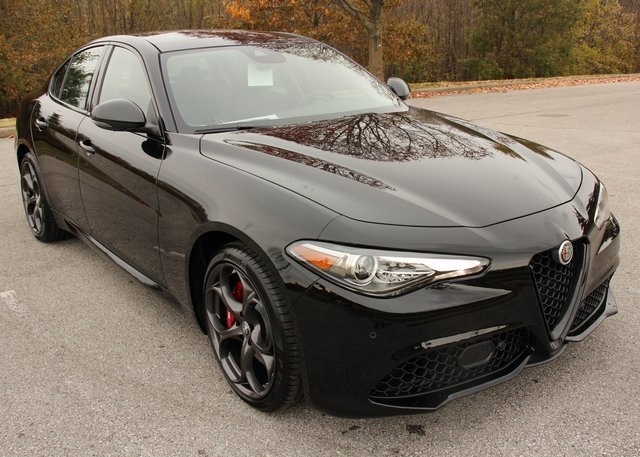 2019 Alfa Romeo Giulia Ti AWD in Alfa Black with Black Sport Leather Seats, Driver Assistance Static Pckg (Auto Dim Exterior Mirrors, Blind Spot and Cross Path Detection), Driver Assist Dynamic Plus Pckg (Adaptive Cruise Control w/Stop, Auto High Beam Headlamp Control, Full Speed FWD Collision Warning Plus, Infrared Windshield, and Lane Departure Warning), Ti Sport Performance Pckg (Active Suspension and Limited Slip Differential Rear Axle), Nero Edizione Sport (Dark Exhaust Tips, Dark Miron Badging and Exterior Mirror Caps, Dark Miron V Scudetto Grille, etc. 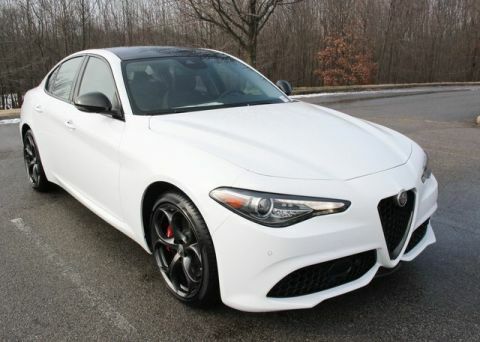 ), Ti Sport AWD Pckg (Aluminum Interior Trim, Aluminum Steering Column w/Mounted Paddle Shifters, Bright Aluminum Pedals, Gloss Red Brake Calipers, Gloss Black Window Surround Moldings, Manual Adjustable Thigh Support, Power Adjustable Bolster, Sport Front and Rear Fascias, Sport Leather-Wrapped Steering Wheel, etc. 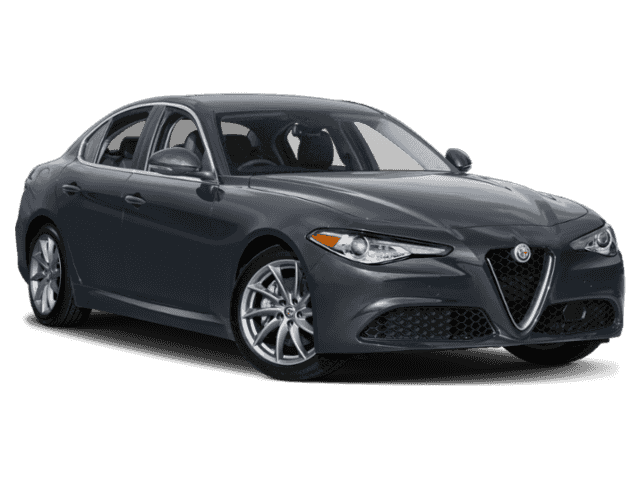 ), Dual-Pane Sunroof, 8.8-Inch AM/FM Bluetooth Radio w/NAV, Harman Kardon Premium Audio System, and 19-Inch Dark 5-Hole Aluminum Wheels w/Summer Tires.